Get an idea of what you can expect from our talented team of dentists and hygienists at Valley Ridge Dental. 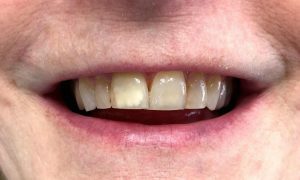 Take a look at some of our patients with their original smiles and the dazzling end results after treatment. 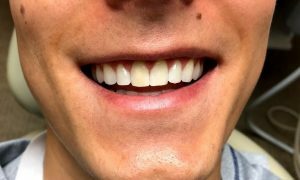 See what a difference a beautiful smile can make! 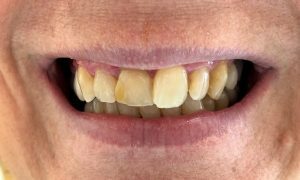 A combination of porcelain crowns and veneers were used to fix this patient’s old stained composite fillings and excessive wear giving her a beautiful bright smile. This beautiful young girl had teeth which developed with mottled enamel. 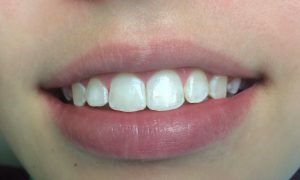 With the use of mircoabrasion in combination with whitening we were able to give her a beautiful smile. 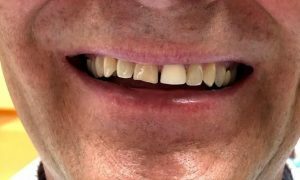 This patient had an old crown that no longer matched his smile. 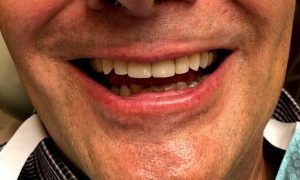 There was also a gap between his front teeth and significant wear on his front tooth. 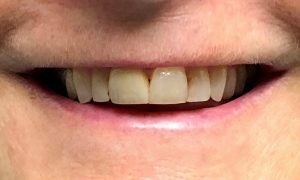 We were able to achieve an aesthetic, natural looking smile for this patient with the use of a crown and veneer. The patient was very pleased with the final result and so are we! 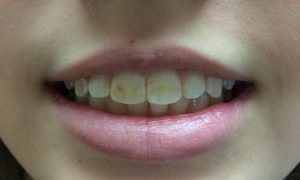 This patient had a root canal on her front tooth many years ago which resulted in discoloration of the tooth over time. 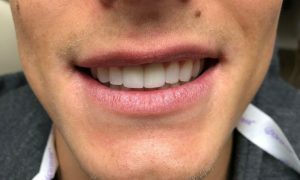 A crown was placed to strengthen the tooth and provide beautiful esthetics. 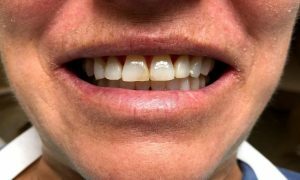 This patients had large fillings on her front teeth which were leaking and failing. 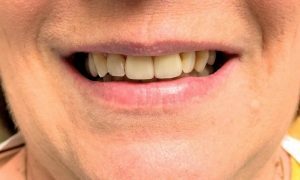 She also had some mild crowding and overlap of her teeth. 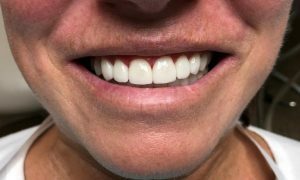 Porcelain crowns on her front two teeth both provided a stronger more predictable restoration and improved the esthetics of her smile in only two visits to the dentist. Schedule a Consultation With Your Local Lake Elmo Dentist Today!